The committee tasked with reviewing the Federal Government’s new procurement rules has called for the establishment of a new governmental authority to keep track of individual suppliers’ economic kudos. The suggestion comes eight months after the Government decided it would plough on with changes to its Commonwealth procurement rules. Among the changes, which had been on track to come into effect at the beginning of March this year, was the stipulation that bidders on government projects worth more than $4 million must show how they are contributing to local employment and growing local skills . In February, however, an inquiry into the new procurement rules was launched by the Joint Select Committee on Government Procurement. The committee was initially expected to deliver its findings by the end of May. Now, the committee has finally released its report, outlining its findings and making no fewer than 16 recommendations to help improve the operation of the Australian Government’s new Commonwealth Procurement Rules (CPRs). The committee said that it supports the introduction of the revised CRPs, and believes that, if implemented effectively, the new clauses will enable a broader, more accurate consideration of value-for money and provide important support to Australian industry and the economy. However, it flagged concerns that ineffective implementation may hinder the ability to enhance procurement outcomes. “Many of the new clauses lack clarity or leave too much to the discretion of officials,” the report said. The committee suggested that that a three-pronged approach would be needed to address the implementation issues. This includes the proposed formation of an independent Industry Participation Advocate, modelled on a South Australian system, to facilitate the consideration of Australian economic benefit required by the legislation. 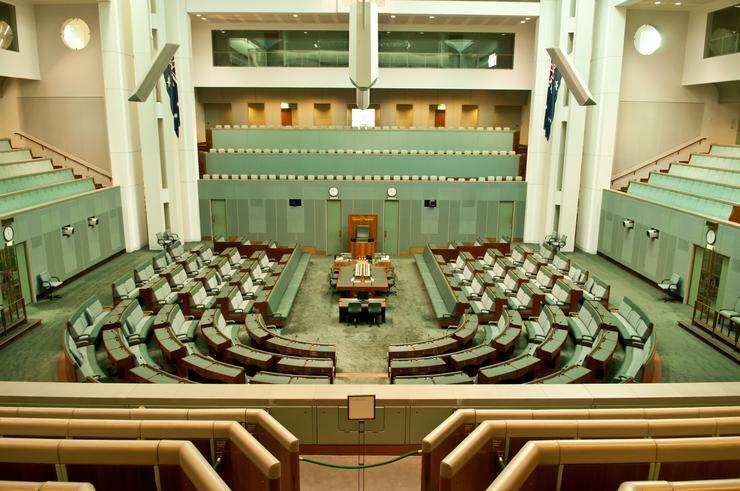 It also calls for the introduction of procurement connected policies to safeguard the Australian Government’s role as a model procurer. The committee recommended that the Government introduce new legislation to create its proposed Australian Industry Advocate, which would to monitor suppliers’ delivery of contracted economic benefits, and provide independent, transparent and consistent evaluation of the unique economic benefits offered by different suppliers, among other things. This body, as a statutory authority, would ideally come under the responsibility of the Minister for Industry, Innovation and Science, the committee suggested. The committee also recommended that, in negotiating future trade or World Trade Organisation agreements, Australia not enter into any commitments that “undermine the Australian government’s ability to support Australian businesses”. As outlined on 30 November last year, the changes may give some local IT partners reason to pay more attention to where their products and services are sourced. Companies competing for government work will need to demonstrate how much locally-produced material they expect to source, while making sure that the materials used comply with Australian standards. They will also have to provide the whole-of-life cost of a project. Further, the new rules mean that the regulatory framework involving labour regulations, including ethical employment practices, occupational health and safety, and environmental impacts must be considered in any procurement. According to South Australian Senator, Nick Xenophon, who struck a deal late on 29 November with the Coalition government to pass the new rules, the move represents “the most significant changes to the way the Australian government purchases goods and services that this country has ever seen”.